"The Fantasticks" has been entertaining audiences off-Broadway for 57 years, but the long-running musical will make one final bow at the Jerry Orbach Theatre this spring, closing on June 4. In its place will come a new play, "The Crusade of Connor Stephens," set to begin previews June 17. Featuring music by Harvey Schmidt and book, lyrics, and direction by Tom Jones, "The Fantasticks" has had a, well, fantastic run — holding the title as the world's longest-running musical. Originally opening in 1960, "The Fantasticks" ran consecutively until 2002 — when it played its final performance at the Sullivan Street Playhouse after 17,162 performances. A revival of the musical opened in 2006. Currently running, it will have played 4,390 performances at the time of closing. That production nearly closed in 2015, the 55th anniversary of the show, but two donors helped keep the show afloat. “Over the past few weeks, two longtime fans of the show called yelling at me for not letting them know the show was closing,” producer Catherine Russell said in a statement at that time, Playbill.com reported. “Each offered financial help to keep the show running in NYC. I initially declined the offers, but after much thought and consideration, I've decided to accept their generous offers that will help keep 'The Fantasticks' alive." "I was surprised and moved to see the enormous outpouring of emotion and attention the closing announcement received," she continued. "People called the box office crying and telling stories about the first time they saw the show. I didn’t realize how many people love the show and feel like it’s an important part of their lives. 'The Fantasticks' truly is a treasured and iconic piece of NYC that should live on." In total over its 57 years off-Broadway, "The Fantasticks" will have played 21,552 performances in New York City. 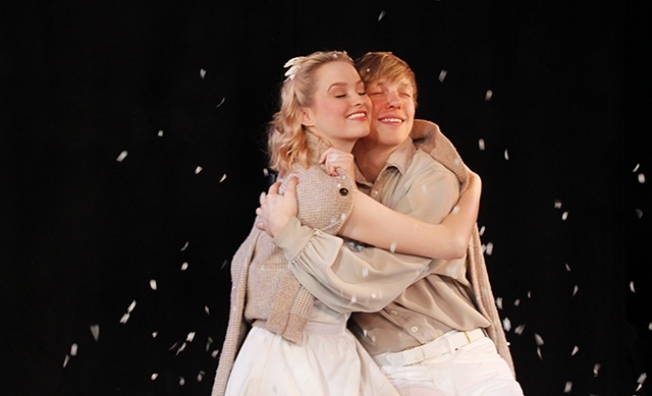 A modern twist on "Romeo and Juliet," "The Fantasticks" tells the story of a boy and girl who fall in love and then grow apart, driven by their desire to experience the world. For tickets and more information, visit www.FantasticksOnBroadway.com.